Videos have been released of fights which left several people injured this past summer and resulted in criminal charges for a pair of firefighters in Westchester. The first video was taken inside Rory Dolan’s Restaurant and Bar on McLean Avenue at approximately 2 a.m. on June 11. The video shows the firefighters - later identified as Lt. Christopher Mitchell and firefighter Bogdin Kosilov - talking to each other before one of them is shoved. The pair of firefighters retaliated, hitting the man with a bar stool during their assault. Upon arrival at the bar, police officers located the victim, a 45-year-old Yonkers resident, who was bleeding from his head. Officers offered aid and helped with his transport to a local hospital for treatment on non-life-threatening injuries. According to police, the victim told officers he was sitting at the bar when another man sat next to him and began to encroach on his personal space over a period of time. This escalated into a dispute that turned into physical violence, resulting in the suspect striking the victim in the head with the bar stool. As a result, the victim suffered the loss of a tooth and required 23 stitches to close a laceration to his head, Yonkers Police Sgt. Dean Politopoulos said. Approximately two hours later, shortly after 4:10 a.m., members of the Yonkers Police Department were dispatched for a second reported assault, this time at the City Lights Gentleman’s Club on Yonkers Avenue. Officers at the scene located a 31-year-old man who was down on the sidewalk in a semi-conscious state and bleeding from the head. Officers rendered medical aid and an ambulance was called to transport the victim to a local area hospital. The men engaged in a dispute with the victim outside the club, at which point one of the men punched the victim in the face causing him to fall down backward on the sidewalk striking his head against the pavement. 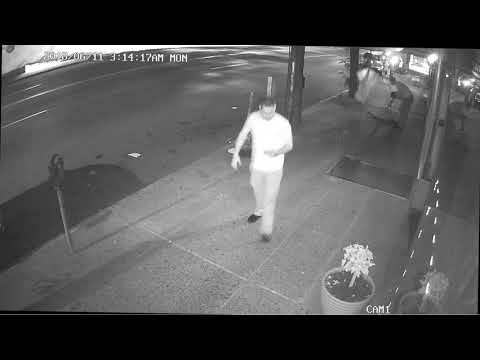 In the video, the victim at the gentleman’s club - later identified as Pennsylvania resident Keith Lowell - can be seen laying on his back on the sidewalk for several minutes, while no one assisted him. Kosilov and Mitchell left the scene as employees called police. The victim was hospitalized with head and brain trauma. Police said that the investigation found that the same group of individuals were present at both incidents, and sufficient information and evidence has been recovered to establish probable cause to charge two suspects in relation. Lowell has since filed a lawsuit against the City of Yonkers, claiming that they were negligent in training and supervising the firefighters. He claims that he was threatened, harassed and assaulted by four members of the fire department. Kosilov, 25, a probationary firefighter with the Yonkers Fire Department was charged with a felony count of assault for the Rory Dolan’s incident. Mitchell was charged with assault and harassment for his role in the incident on Yonkers Avenue. Both men are scheduled to appear in court to answer the charges on Oct. 30.